Washington (AFP) - US President Donald Trump on Tuesday reaffirmed that "all options" are being considered in his drive to bring down Venezuela's socialist President Nicolas Maduro. "All options are on the table," he told reporters in the White House. "It's a shame what's happening in Venezuela -- the debt and the destruction and the hunger." 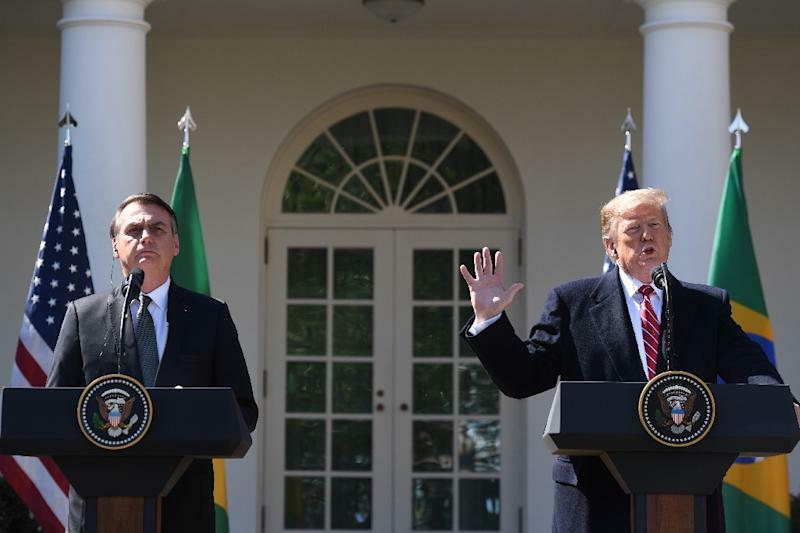 In response, the Venezuelan foreign ministry accused Trump and Bolsonaro of being apologists for war, and described their statements as "dangerous" and a "threat to international peace and security." "No neofascist alliance will succeed in overcoming the independent and sovereign will of the Venezuelan people, nor will it succeed in its aim to spread hatred and war strategies," it said. The United States and more than 50 other countries, including Brazil, recognize opposition leader Juan Guaido, the head of the National Assembly, as Venezuela's rightful president. The White House said Trump would also discuss the Venezuela crisis with Caribbean leaders -- including from the Bahamas, the Dominican Republic, Haiti, Jamaica and Saint Lucia -- at his Mar-a-Lago resort in Florida on Friday.